East Brunswick, New Jersey is a township in Middlesex County. This suburban community is part of the New York City metropolitan area. It was first settled in the 17th century by different immigrants seeking a new life. The earliest settlers made deals for land with the Indians, but when New Jersey was divided many of the early homesteads had to be repurchased. Because the best transportation was by water, early pioneers settled near the river routes. Besides the water transportation, land and railroad transportation had large influences on the commerce and growth of East Brunswick. Today this historic city is the direct result of many small neighborhoods coming together to form a municipal complex. East Brunswick was incorporated in 1860. It has a current approximate population of 47,500. East Brunswick recreation is a big attraction. The township offers an Olympic size lap pool, water slides, private swim clubs, tennis courts, and health clubs. There are many public parks that cover 600 acres. Those who love being outdoors will enjoy the many trails and open spaces the parks offer. There are two 18-hole golf courses, a community theatre which performs both children’s shows and Broadway shows. The East Brunswick Public Library is nationally recognized for its programs and collections. There is also plenty of shopping with one five-mile stretch of Route 18 that offers offices, restaurants, and stores as well as small shopping malls and movie theaters. 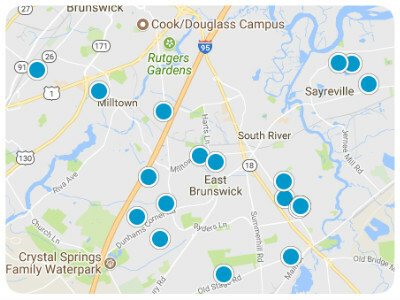 East Brunswick housing choices include single-family homes, townhouses, and condominiums. You will find older cottages and ranch-style homes in East Brunswick, as well as traditional multi-level homes. You will also find newer contemporary custom homes and East Brunswick estates. The western side is sparsely developed as the Rural Preservation Zone. The East Brunswick School system is a highly rated with over 90% of students continuing with higher education following graduation. 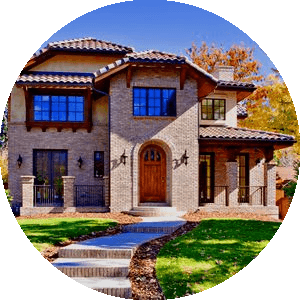 With its many recreational options, cultural activities and multiple shopping options, both in the township and in other areas, this thriving community is a must consider for homebuyers searching in the New Jersey area. 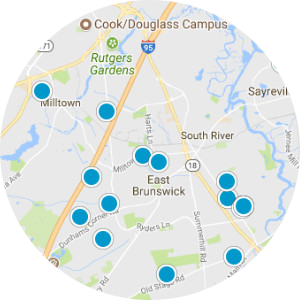 If you would like more information on homes for sale in East Brunswick, New Jersey, please contact us today and allow us to assist you. This newly renovated home is move in ready.. With its upgraded kitchen and bathrooms. Open floor plan, stainless steel appliances. Close to NYC Transportation.